This is a recipe by Christian, a middle school student originally from Mexico. He participated in a cooking-themed summer camp I ran a few summers ago at CIANA, a nonprofit agency serving immigrant families in one of the most diverse neighborhoods in New York City. The campers prepared dishes from one another’s cultures, published their own cookbook, and catered a free meal for the community. Over 60 guests showed up, crowding into the CIANA office. The kids and I hurried back and forth from a kitchen a half mile away, carrying the food they had prepared with the help of a rolling cart. 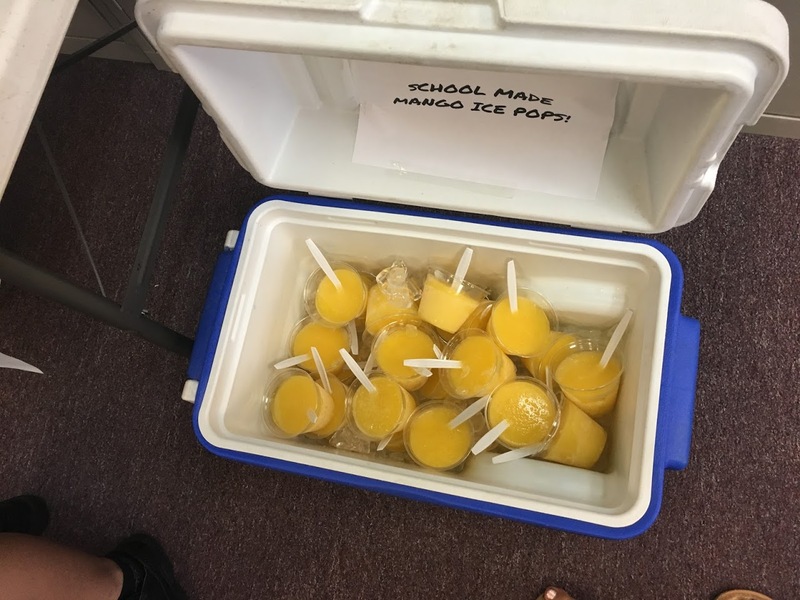 It was a hot August afternoon, and after all that physical labor, I was craving a refreshing mango pop. But soon after the event started, the popsicles were gone. They were a huge hit! I have fond memories of that summer, and I’ve continued to volunteer and work at CIANA in various capacities in the years since. Read this article on the CIANA website to learn more about how I’ve used cooking and baking to educate children from diverse cultures. And see below for Christian’s family recipe, copied directly from “The CIANA Cookbook.” Summer is still a long way off in New York City, but these can be made year-round with frozen mangoes or fresh Mexican ataulfo mangoes, which come into season in late February. Chrisrian’s recipe serves 50 people; feel free to scale it down. 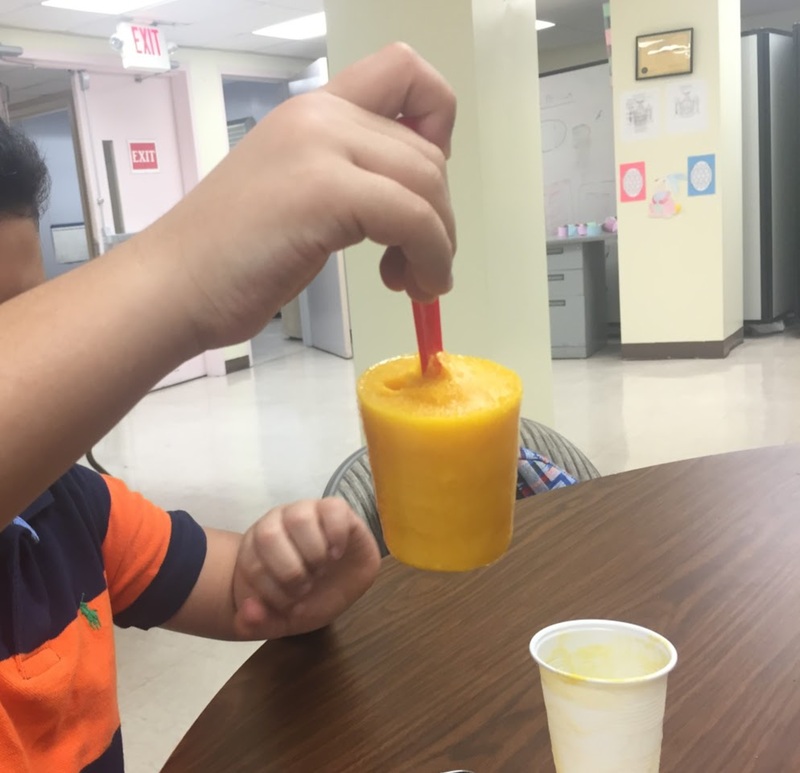 “When it’s really hot outside,my mom makes mango pops to refresh us. It cools down your body when you eat it. The mango pops remind me of my time in Mexico when it was hot outside. My grandma would buy the mango pops and my mother will make them. When you eat a mango pop, your mouth cools down and tastes the delicious flavor.” –Christian P.
1. Peel the mangoes and cut them into pieces. 2. Put the mangoes in a blender. 3. Add 3 cups of water in the blender. 4. Add 12 spoons of sugar to the blender. 5. Blend the mixture for 5 mins. 6. Pour it into cups add sticks to it. 7. Put all the cups in the freezer and leave them there for at least one day. Funny I see this now. Just today I was at a local market and they had cases of mangoes on sale pretty cheap. I love mangoes but didn’t know what I could do with so many. Now I know!